What I Want You to Know is a series of reader submissions. It is an attempt to allow people to tell their personal stories, in the hopes of bringing greater compassion to the unique issues each of us face. If you would like to submit a story to this series, click here. Today’s guest post is by Faith N.
First of all, I want you to know that this is not actually the “hood”, the “ghetto”, or the “wrong side of the tracks”. This is a neighborhood. This is a community. This is a group of people who are strong, beautiful, and fiercely dedicated to making their neighborhood a wonderful place to live. I moved to the Oakland City neighborhood of Atlanta, GA about a year ago, and lived there until last week. I want you to know that my time in Oakland City was some of the best of my life, and leaving (even to move five minutes away to another urban neighborhood) was so hard. I want you know that I had neighbors there in a way that was so above and beyond my previous experiences in the suburbs. My neighbors showed up for me and my housemates, day and night. They mentored us, prayed for us, laughed with us. They cooked us huge Southern meals. They invited us over for movie nights, or to watch the big game. They gave us rides to the laundromat, to the grocery store, to events. They shared their lives with us. I want you to know how damn hard my neighbors work for our community. They organize clean-ups to clear the litter and commercial refuse regularly dumped in our neighborhood from our streets, yards, and sidewalks. They’re forming a non-profit to address the problem of vacant and abandoned houses, most of which are owned by people or companies out of state. They sponsor back-to-school events to get the kids of community excited about learning and affirm their education. They partner with churches. They are politically active, and show up to ask questions of our government leaders. 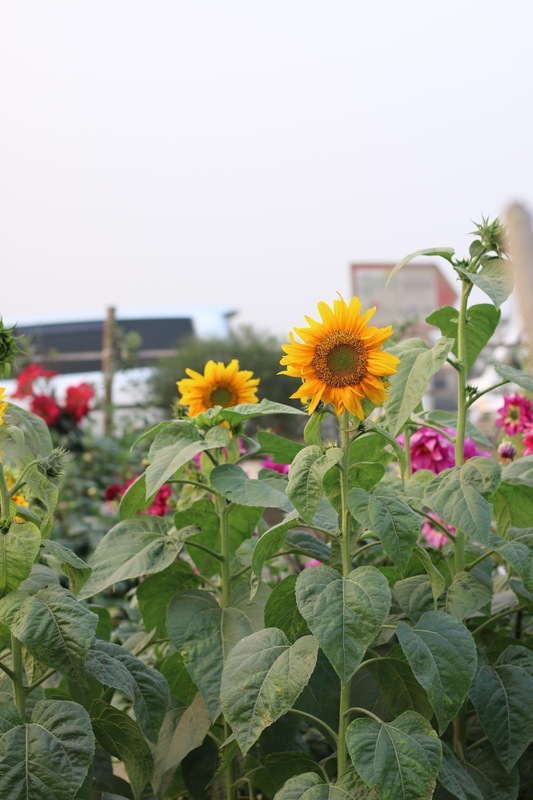 They created and maintain a community garden that grows fresh, organically grown produce in the middle of a food desert, and is open for anyone to come work and harvest. They advocate for themselves and others in the community. I want you to know that when someone who was a part of this community was murdered in cold blood, my neighbors held a peaceful, inter-faith crime rally. Together we all marched down our streets, chanting and singing, handing out flyers encouraging the perpetrator to turn himself in. I want you to know that he was caught, and that I credit that in part to how proactive this neighborhood is. I want you to know how much my heart hurts when I hear the things people say about this neighborhood and those like it. I hate the questions, the why-would-you-ever-want-to-live-there dismissals, the cautions about safety, the subtle or not-so-subtle racism towards the people there. I want you to know that the stereotypes about places like Oakland City are just that — stereotypes; a single story of what it means to live in an urban setting. There is so much more to see, so many more stories to be told. I want you to know that I feel so lucky, so blessed, so privileged to live in a place like this, with neighbors like this — exactly the opposite of how society says I should feel.